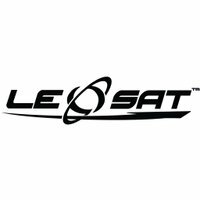 LeoSat Enterprises (@_LeoSat) is a technology company that aims to transform the way that businesses transfer data around the globe. Their proposed network of low earth orbit satellites enables secure data connection from anywhere to everywhere. They partnered with Pulse (@PulseTechAgency), a B2B Marketing Agency, to create their campaign. LeoSat wanted to grow their commercial and investor community. They used a follower campaign to help achieve this. The target audience for their campaigns were commercial buyers and investors in specific industry sectors. The team focused on targeting specific keywords and interests, in addition to follower targeting of key accounts relating to LeoSat. “Twitter is a unique platform that allows campaigns to reach a wide, yet tailored audience." LeoSat found that a clear CTA helped their Twitter campaigns to perform well. Simple, direct phrases like “Follow us for more” helped them to gain new followers. By combining high-impact creative content with CTAs that encouraged and inspired, LeoSat saw real results. Even though LeoSat had a specific audience in mind, they found the Audience Insights tool to be particularly useful. The dashboard provided real-time information about their new followers and the people who were engaging with their Tweets. This enabled LeoSat to see which keywords and targeted accounts were most effective, and to plan their next steps. LeoSat carried out weekly reviews to see how each campaign was progressing. This strategy enabled them to identify and turn off under-performing ads. They could adjust their bids and daily budget. A/B testing of various ad components from copy to CTA helped them to put their resources behind the most effective options. See how these businesses ran successful Twitter Ads campaigns to build their follower base and foster loyal customers. The benefits of B2B content marketing are numerous, but how can you find a balance between owned, earned, and paid? We partnered with the research firm Research Now (@ResearchNowUS) to survey more than 5,450 people around the world that follow a small or medium-sized business (SMB) on Twitter. Here are a few key findings.